Freightview simplifies all of your freight shipping — even when you're not paying the carrier invoice. Of course, Freightview is perfect for when you are paying. It connects to your carriers and brokers to retrieve your own rates and display them in one place. You choose the right mix of price, transit time and service; schedule the pickup; print the bill of lading and shipping labels; and track the shipment from pickup to delivery. But when one of your customers asks you to use their carrier and have the bill sent directly to them, you don't have to fall back to the old way of creating the BOL and scheduling the pickup. Freightview makes those shipments just as easy. Instead of clicking Quote, choose Customer routed shipment. You'll see a form where you can fill in the shipment details. Just like other shipments in Freightview, it has a full address book and product catalog, so you don't have to type any information twice. Just start typing and Freightview suggests previous addresses and commodities. 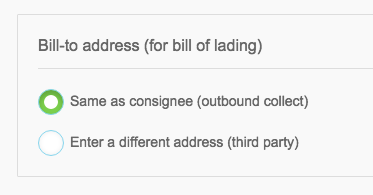 If it's an outbound collect shipment, you can use the consignee as the bill-to address. If it's a third-party shipment, enter the bill-to address or choose it from your address book. It's one more click to schedule the pickup, and Freightview prepares the BOL and labels. It's that easy to book a customer-routed shipment. 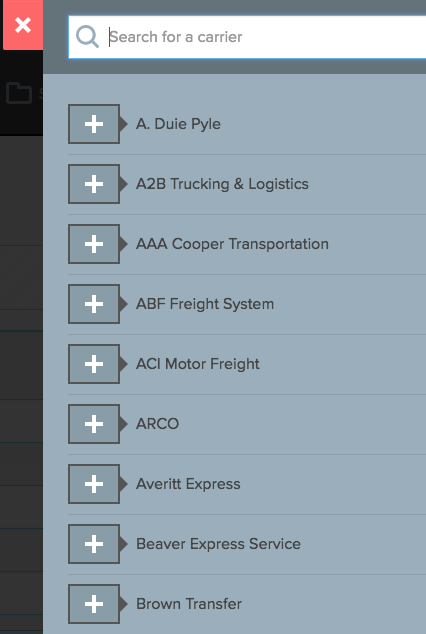 If you're a Freightview subscriber, try it today. If you're not a customer yet, start your free trial!